The D5073 is the upgraded equivalent to our D2273. 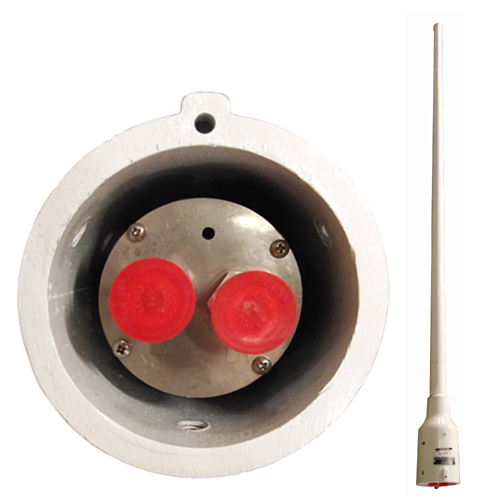 This VHF/UHF dual frequency air traffic control civil aviation MULDIPOL™ antenna is perfect for gound-air-ground, air traffic control and base communications applications. Its VHF input/output operates in the 118 to 137 MHz frequency band, and the UHF from 225 to 400 MHz. TACO'S D5000 Series MULDIPOL™ antennas are omni-directional, vertically polarized Air Traffic Control civil aviation dipoles designed for ground-to-air communications, with various array configurations are available, including custom designs. D5073-BC - Includes Bird Cap.